Forcing Rhubarb can be done indoors or outdoors to produce a harvest out of season. Tender rhubarb stalks can be "forced" during the late winter and early spring. The cultivation methods for forcing rhubarb was developed as early as the 1800's. At one time West Yorkshire, England produced 90 per cent of the world's winter rhubarb in "forcing sheds" which were a common sight across the fields in that area. Commercial growers of rhubarb use special forcing sheds, or hot houses, but the home gardener can successfully force rhubarb in a home cellar, a garage, or another outbuilding. Forcing rhubard can also be done outdoors, in the garden. How is Rhubarb Forced Indoors? The forcing process should begin after the last rhubarb harvest, and before the winter freeze. Late fall or early winter, after the tops of the rhubarb plants have died down is the best time. When forcing rhubarb, start with roots (crowns) that have a large diameter. Dig up the roots of the plants you want to use for forcing rhubarb. 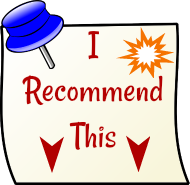 Use well established plants, and keep as much soil clinging to the crowns as possible (to prevent frost damage). The yield from forced rhubarb is roughly one half of the yield that the same crown would produce grown naturally outdoors. (To ensure you will have enough rhubarb for most recipes, you will probably want to force at least a few rhubarb plants). Leave the pots with the roots outdoors, allowing them to be exposed to a few hard freezes. This is important as the rhubarb needs to be exposed to freezing (32 ° F or 0° C). Then, transfer the pots with the rhubarb roots to a cool location, for example a home cellar, or a garage or potting shed, (ideal temperature will be around 50 ° F or 10 ° C), and keep them in total darkness. Use a bushel basket, or another dark cover to keep the light totally out. 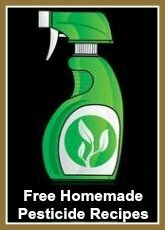 Keep the soil moist, and ensure it does not dry out. The rhubarb will slowly begin to grow petioles (stalks). After about 4 - 6 weeks from being brought indoors, you can harvest the rhubarb. Harvest the stalks when they are approximately 12 - 18 inches long. Forced rhubarb has smaller leaf size , with distinctive, uniformly pink, tender stalks. The plant roots can be re-planted in your garden where it will grow again in the spring. It is advisable not to force a single crown of rhubarb for two years in a row. Allow the forced rhubarb crown to grow naturally in the garden the year after it has been forced (preferably for two years), and choose alternate roots for the next forcing period. Notice how the rhubarb in this picture (above) of rhubarb forced indoors has very pink stalks, and light green small leaves. How is Rhubarb Forced Outdoors? 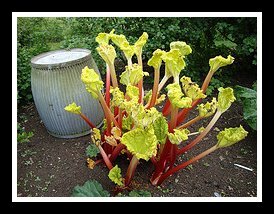 Outdoor rhubarb can be forced during the winter by placing large pots or decorative rhubarb forcers over the rhubarb crowns (roots). Be sure to clear away the area around the base of the plant crown, removing any decaying leaves and weeds, to avoid the rhubarb crown from rotting. The pot or decorative rhubarb forcer must not allow any light to shine through. Plug any hole to exclude light. In cold regions, (to help protect against frost), and to speed the forcing process, insulate the outside of the post with a thick layer of straw. The rhubarb will be ready to harvest in about eight weeks after covering. 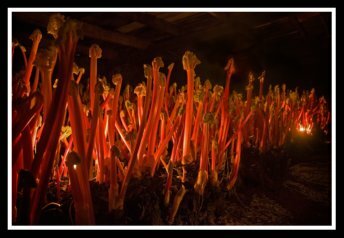 In this picture (above) you can see how, when the pot covering the rhubarb being forced outdoors is removed, the rhubarb has grown in the dark and is ready to harvest. How Can You Speed Up the Spring Rhubarb Harvest? Perhaps you are not interested in forcing rhubarb indoors or outdoors, but you do like to speed up the time in which you will be able to harvest your rhubarb in your regular rhubarb garden. Established rhubarb plants can be "coaxed" into early outdoor production by covering the plants with clear plastic in the early spring, before the crown (roots) begin to grow. The plastic holds in the heat, and speeds the growth of the plants. Once growth begins be sure to cut ventilation holes in the plastic to allow for air circulation and the prevention of rotting crowns. As the rhubarb leaves begin to grow larger, cut the plastic to free the leaves. 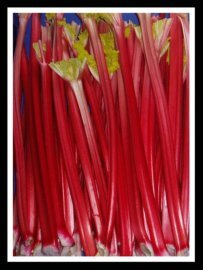 It is always fun to have rhubarb ready to harvest in the garden, or in the shed in early spring, when little else in the garden will be ready to harvest for quite some time! 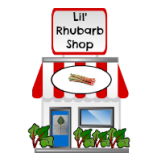 The links below, (or use the navigation buttons on the left hand column) are to pages on this website with helpful information about all you need to know about growing rhubarb in the home garden.